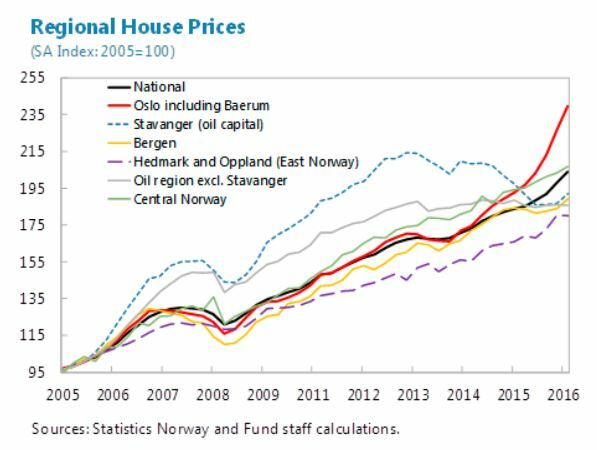 The Unassuming Economist | Are House Prices Overvalued in Norway? 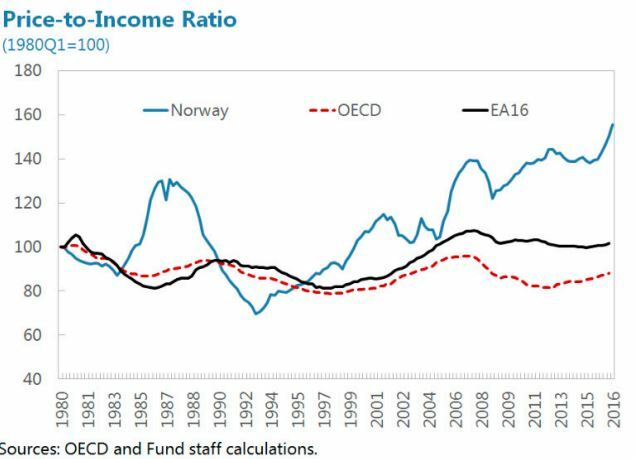 “High and overvalued house prices are a source of vulnerability in Norway, in view of the importance of the housing market to both financial and macroeconomic stability. A large correction of house prices, driven by slower real income growth, a reverse in sentiment, or interest rate hikes could weaken household balance sheets and depress private demand, and in turn adversely affect corporate and bank earnings. The authorities have been vigilant about the risks and have implemented a list of measures to strengthen the resilience of banks and households, including additional bank capital buffer requirements in line with Basel III/CRD IV, higher risk weights on residential mortgages using IRB models, tighter mortgage regulations, and the introduction of the debt-to-income limit of five times the borrower’s gross annual income to complement the loan-to-value (LTV) limits and affordability tests. Nevertheless, further targeted macroprudential measures should be considered to help contain systemic risks if vulnerabilities in the housing sector intensify, including: tighter LTV limits, a reduction in banks’ scope for deviating from mortgage regulations, and/or higher mortgage risk weights.